Putting play and conflict together may seem like an oxymoron. How on earth does playfulness help when there’s a disagreement? Wouldn’t it make things worse because your counterpart would think you weren’t taking the situation seriously? Conflicts arise from different, sometimes competing, wants, needs and perspectives. When you get stuck in an argument, it’s because you and the other person(s) have most likely boxed yourselves in with your positions and can’t find a way out. This is the point when many people give up and find the problem doesn’t go away. It grows and festers. Unaddressed work-related conflicts build tensions not only between you and the person you disagreed with but among other team members as well. That’s because the subject of the disagreement may affect them too. In that case, co-workers will take sides. Important work relationships suffer. Productivity goes down. Your career is compromised. Unresolved interpersonal conflicts also create misery and contribute to dysfunctional work or family dynamics. What may have begun as a relatively small issue becomes the foundation for new conflicts that feel bigger than they are. Before long, everyone involved is held hostage by the history of mistrust and patterned reactions. It doesn’t have to be that way if you develop habits that help you break out of the box. The phrase “think outside the box” has become a useless cliché. After all, if you feel stymied, this instruction only makes you feel more inadequate. Instead, play inside the box. Play with the box. Play around the box. Heck, rip up the box and make something new with it. You see, addressing conflict, especially challenging conflict, takes creativity for exploring solutions that work for all concerned. Cultivating habits of playfulness—long before conflict rears its ugly head—awakens your creativity. The key word is habit. You want creativity to kick in automatically when you most need it in the early stages of conflict. How does a spirit of playfulness pave the path toward conflict resolution? Produces feelings of pleasure and opens doors to creative exploration. Increases your adaptability and receptiveness to new ideas. Opens communication channels and encourages cooperation. Stimulates mental processes for making new connections and achieving new insights. Is a fun way to learn how others think about and understand the world. Can directly lead to profitable ideas which might resolve a specific conflict. How do you cultivate playfulness? To reap the listed benefits of play, it needs to be fun as well as challenging. Find activities you enjoy and that stretch you outside your comfort zone. Incorporate both mental and physical forms of fun. Allow yourself to be silly and foolish at least once a week. Laugh. A lot. Play every day. Include it as part of your work. Find ways to make home chores fun. Use it for solving workplace problems. Here are fifteen ways of adding play to your regular routines. 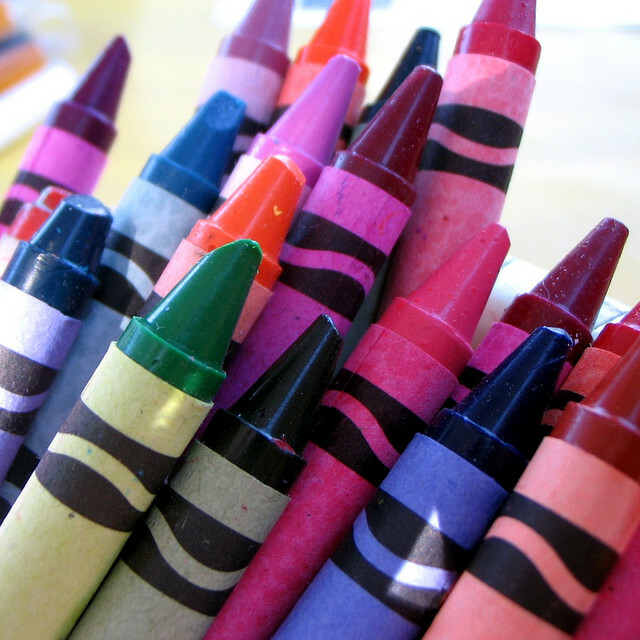 Use crayons to express ideas, feelings or problems. Draw or doodle. Stick figures, abstract shapes and lines are fine. Read and tell jokes. Watch comedy shows. Create jokes. Learn to pun. Host a game night with your friends and family. Take dancing lessons. Or just dance. Keep a “toy box” at work. Pull out a toy at random whenever you’re stuck on a problem and see what ideas it triggers. Go on a gallery walk, to the theater, or the farmer’s market. Learn any instrument. Play music you love. Play with a small child who leads the action. Write a children’s story about a problem you have. Solve mind-expanding puzzles that force you to see and think in new ways. Try one fun activity that you’ve always wanted to do. During a conflict, suggest joint problem solving to find a mutual solution using creative play. For example, use colored markers to express the various perspectives. Walk to a park or around the block as you discuss issues and ideas. Explore the disagreements from a variety of angles—what would they look like from space, from a child’s point of view or from viewpoint of your favorite fictional character or super hero. What other forms of play would you add to your list?